Once again we are loving the inspiration we have found on the Design Seeds Blog. I can tell this site is going to be so much fun and so helpful to our brides. 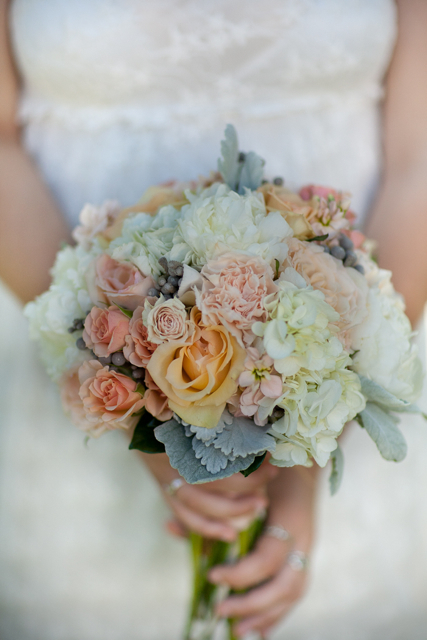 We love peach, coral, and gray wedding flowers!! This bouquet was created with peach lizzy carnations, peach roses, ilse spray roses, white hydrangea, gray brunia berry, and gray dusty miller. This bouquet was photographed by Vicki Grafton.